Home 1930s 1940s Retro music Big Band Bachelor Boys! When it comes to describing musicians – in this case, the leaders of swing bands – one (GoRetroGirl) can think of so many cute and naughty double entendres. “He sure knows how to blow that thing.” “He keeps his instrument well lubricated.” “He’s got great rhythm.” And my personal favorite, “He hits all the right notes.” Which, naturally, got me to thinking: which big band leaders from the 1930s and 40s would make the best boyfriends? Oh I know all of them were married, but for all practical purposes let’s pretend they’re in the here and now and single. So which ones were the sultry sultans of swing, and who produced nothing but sour notes? Go Retro has rated their datability on a scale of one to five (five being the best) based on personal tidbits uncovered on Wikipedia and various other online sources. To paraphrase a popular song, It don’t mean a thing if he ain’t got that swing, so let’s take it away! The “King of Swing” reportedly had an arrogant streak; Helen Forrest, a singer who spent 20 months touring with Benny and his band said that the experience “felt like 20 years.” There’s also the story about a ketchup bottle cap that once fell on an egg that Goodman was eating. His solution was to simply eat around it. But the master clarinetist enjoyed a single lifelong marriage to Alice Frances Hammond from 1942 until her death in the 1980s. Pros: Recorded one of the BEST swing songs ever, “Sing Sing Sing (With a Swing)” and his quartet’s rendition of “Moonglow” remains one of the most romantic melodies ever laid down on vinyl. And he did find a lady brave enough to put up with his dark moods; the marriage also produced two daughters. Cons: Besides the temperament, Goodman was struck a low blow early in childhood when his father, a working-class immigrant, was struck and killed by a car after getting off a city trolley. The event haunted him his entire life because his father never lived to see him achieve his success. Datability Score: Four if you can put up with his control freaky ways. A respectable choice for shiksas and non-shiksas alike. After the big band scene faded away, Shaw became an author. One of his books is entitled “I Love You, I Hate You, Drop Dead!” and - as you may have guessed - is semi-autobiographical. Cons: Clearly has tons of issues too surmountable for even Freud to deal with. Datability Score: One. 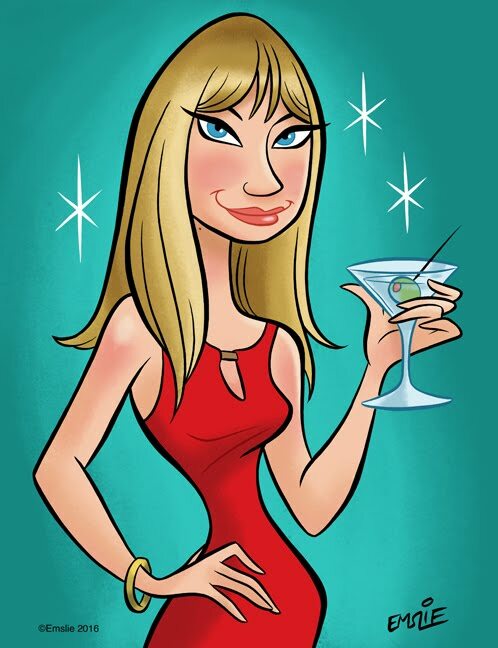 As in might be tolerable for one date, just to say “I went out with Artie Shaw” but otherwise, head for the hills. 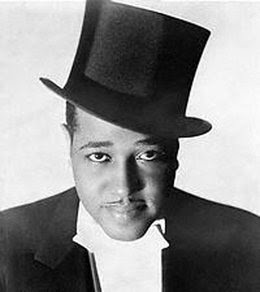 “Sir Duke” earned his nickname not only by the clothes he wore, but by the air of class he carried everywhere with him, which was instilled in him at an early age by both his parents, who taught young Edward Kennedy Ellington manners and the fine art of living elegantly. Ellington’s friends often said that Edward behaved like a nobleman, which is how he earned his nickname. “Duke” married his high school sweetheart, Edna Thompson, and remained married to her his whole life. The marriage produced their only child, a son, who took over his father’s band after he passed away. An online search doesn’t seem to dig up any dirt on this classy Duke. Pros: Exceptional manners, classy dresser, a one-woman man. Cons: Every man has his flaws but if the Duke had any, no one’s talking. Datability Score: Five. We’ll take the “A Train” with Mr. D anytime. “It’s so easy to say pet names when you’re listening to the trumpet of Harry James.” Yes, pet names that include “Alcoholic”, “Gambler” and “Wife Beater.” James was the child of two circus performers and grew up on the road. Legend has it his mother performed her high wire act while pregnant with James and stopped it only a month before he was born. James married the leggy pinup idol of World War II, Betty Grable, in 1942. She divorced him in 1965 after putting up with years of infidelities, physical abuse, and neglect of their two daughters. 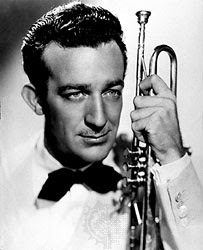 The biography “Trumpet Blues: The Life of Harry James” tells of the piano player in James’ band asking him, “Do you have to get laid every single night?” James’ vices eventually led to his downfall and the end of his career. Pros: Charismatic, good trumpet player, and probably had good balance inherited from his mom. Cons: Abuser, drunk, gambler. Best left to his own vices. When it comes to swing kings, Miller was a bit late coming to the party. He struggled for years playing with various established bands and the general consensus among his peers was that he was a mediocre trombonist. 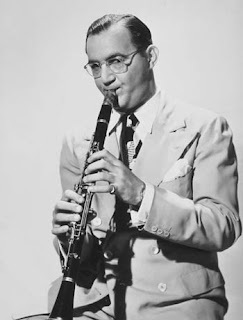 But when he formed his own band and perfected his trademark “Miller sound” of layering clarinets with saxophones, he struck gold – not to mention many gold records. The bespeckled Miller was a tall, handsome, steady speaking Midwestern boy raised with strong family and work values. He pursued and married his college sweetheart, Helen Burger, after not seeing her for two years. Helen had to undergo a hysterectomy in the 30s and was therefore unable to have children, but the couple adopted a boy and a girl. Miller disbanded his famous ensemble during WWII to join the war effort, believing that it was his patriotic duty. He rose to the rank of Major and formed a new band that sought to make military music more entertaining. He disappeared in December 1944 when his plane flew over the English Channel on the way to Paris so that he could perform a Christmas concert. There have been many speculations as to what happened to Miller but the theory with the most evidence is that the aircraft was struck by a discharged leftover bomb from the Allies. He became a national hero and in 1953 a delightful (albeit not entirely accurate) movie called The Glenn Miller Story starring James Stewart as Miller renewed interest in his music. His orchestra still tours and plays worldwide. Pros: Calm, classy, great family values, and (in my honest opinion) had the best swing orchestra and the best music. Wrote Moonlight Serenade, the most hauntingly romantic song ever written. Probably safe to say he was true to his wife and didn’t cheat on her. Datability Score: Five! Ding ding ding! There’s not much to dislike here. Recorded the best songs of his genre. And he was handsome, too. 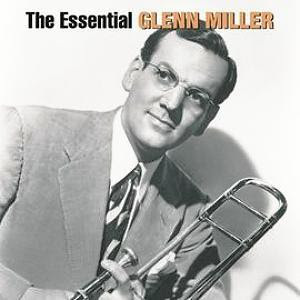 GoRetroGirl is always in the mood for Glenn Miller. Great post , Love it. My Swing Band based in the uk play this kind of music, and its so popular. What a terrific post, I love this. I am going to Stumble it right now! So 'Swing Revival of 1998-ish'! What a great post. I love the big band leaders and what reputations they have left behind. Not to mention the fantastic music. Thanks! Mind if I link to you? I'm telling my Miller friends. They are getting a kick out of it. "Accurate Rick" pointed out that Glenn's wife's maiden name was Burger, not Burgess. I'll point of that Duke Ellington was a real hound with the 'ladies' and bragged about it. John Cooper - thanks, I have corrected that typo. Do you and your friends have a Miller blog/site? If so, I'd love to check it out sometime. There is an old Delphi Forum with much excellent Miller info sitting there untapped for some time now. HAHAHAH this was a great post! 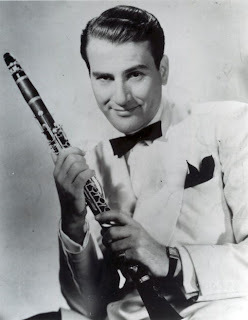 In fact, Artie Shaw's theme tune *was* Nightmare, which he used to reflect his ambiguous attitude to his success and fame. It's wonderful to see a site like this with all the great talent of a by-gone era. Our swing band which is available for private events pays tribute to these great swinging legends.